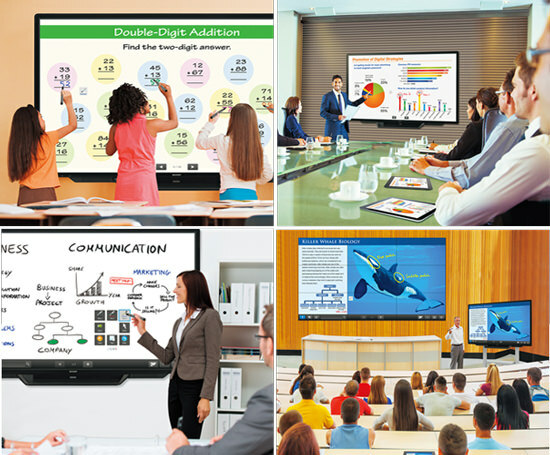 AQUOS BOARD® - Office Copying Equipment, Ltd.
Sharp AQUOS BOARD® interactive display systems are much more than your typical interactive white boards. Designed for smooth and effortless communication in a wide range of contexts, their highly responsive touch pens allow several people to write on the same touch screen at the same time. And the Sharp Touch Display Link software enables multifaceted wireless communication. Whether in the office boardroom or the classroom, Sharp changes the way you communicate. BIG advantages over conventional display solutions. 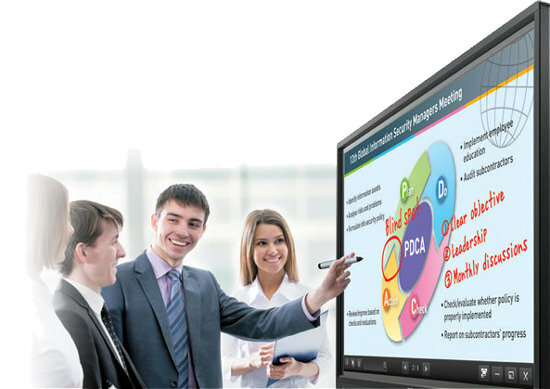 From the office boardroom to the conference room, training session to lecture hall, a Sharp touch-screen interactive display system can magnify your success. Motivate your audience. Improve your image. Give your message the impact it deserves. With Sharp on your presentation team, the possibilities are endless… and every moment is right for a magnificent performance.